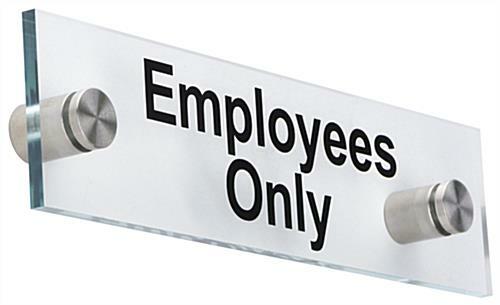 8" x 2" Sign with "Employees Only"
This custom look standoff signage features a preprinted "Employees Only" message designed to complement existing messaging and nameplates. 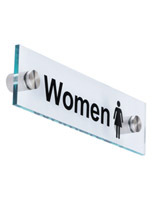 The wall mounting business door display sign is made from economical acrylic but looks like expensive tempered glass due to the green edging. 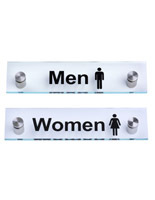 The modern look standoff signage can be easily installed on vertical surfaces to identify areas that are off-limits to customers or patrons. 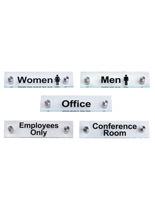 This type of pre-printed door display is designed to match and complement customized nameplates or existing business messaging. 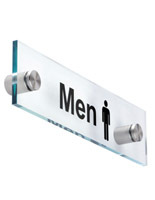 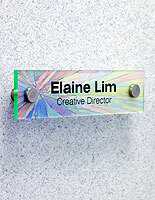 The 8" x 2" acrylic standoff signage comes with (2) 1" silver finish steel through-grip mounts. 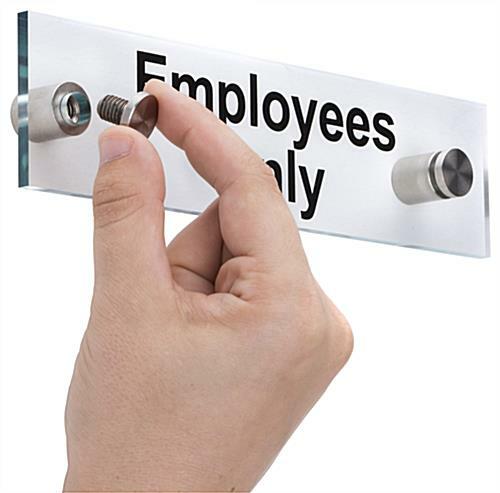 This wall mounting "Employees Only" sign is ideal for any business that needs to clearly designate areas where customers are not permitted.